Sorry this recap is so late! I had a loooong week, and I write slow. >< Going forward I’m hoping to post by Tuesday/Wednesday, so I have the rest of the week to work on the other posts I keep neglecting! OK, let’s get back to episode 6 itself. 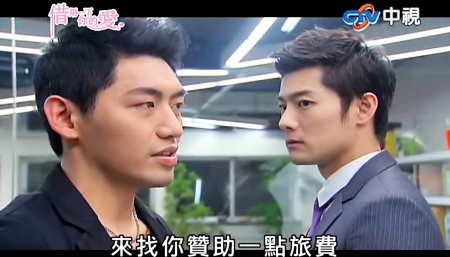 Continuing from the last episode, Ping An and Ye Chen enlists Zi Wen’s help in finding Xi Le. Zi Wen leads them to this VIP club, and gives them Bai Ming Li’s membership card so they can get in. 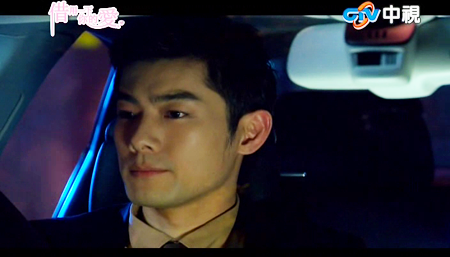 However, Zi Wen decides to stay in the car with the excuse that Ji Huo Ying is probably with his rich friends, but in reality he probably just doesn’t want to see Xi Le. At the club this is when the hilarity begins. 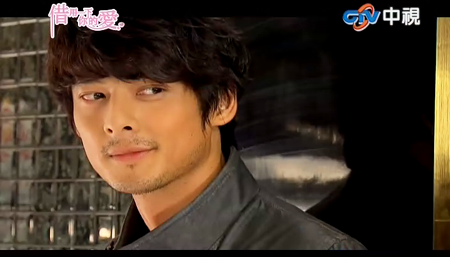 First, Ping An tells the hostess she’s looking for Ji Huo Ying, but the hostess asks what’s his English name? LOL. That’s when Ye Chen finally reveals he actually has Ji Huo Ying’s phone number, so in true “24” style, we have a split screen of Ping An and Huo Ying bickering on the phone. Ye Chen all the while is there having a good laugh. Until Ping An calls Huo Ying pervert. As the last episode already revealed, Ye Chen wants to be Ping An’s only pervert HAHAHA. Every time she calls someone else pervert, he gets jealous! When Ping An finds Xi Le, she puts on a good show in front of Huo Ying’s friends. 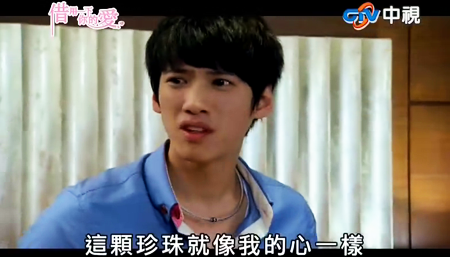 Ping An pretended to be pregnant and was like – “Huo Ying, how can you do this to me and our baby!!!! You dumped me and now you’re with someone else! !” causing a huge scene, it’s hard for me to describe, but hilarious to watch… Watch this series! 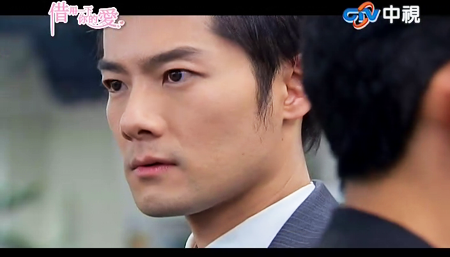 Outside the club Ping An asks Xi Le why she went there with Huo Ying in the first place. Before Xi Le can answer, she sees Zi Wen there waiting… Xi Le chases after him, while Ye Chen tells Ping An to back off so Xi Le can talk to Zi Wen alone. Zi Wen’s acting all cold and aloof again while Xi Le is taking the bold step of hugging him from behind and trying to convince him to change his mind. I wonder how long he’s going to play this. He’s going on again how tough their future will be and tells her to think of him as a coward…. but as she screams out that he’s not, he walks away. Ping An and Ye Chen watches all of this so Ping An tries to comfort her. Xi Le comments that she’s envious of Ping An and Ye Chen… initially Ping An didn’t know what Xi Le wasn’t talking about, but Ye Chen of course takes the chance to say that it was ‘love at first sight’ for them lol. As the girls sees an overhead footbridge they immediately ran up. Apparently when they were young, they liked to scream out anything they could not say in real life because on the footbridge, no one can hear them or laugh at them. Xi Le screams that she likes Zi Wen, very much. While Ping An wishes for all those in love can be together forever. The girls feel that by screaming out they can also be more brave… then it suddenly rained but the girls just continued to be happy and dancing their own song in their world. Back at the Bai house, Xi Le apologises to Bai Ming Li. While Bai Ming Li tells Xi Le to get some rest, she asks Ping An to assist Zi Wen to organise the introduction party. 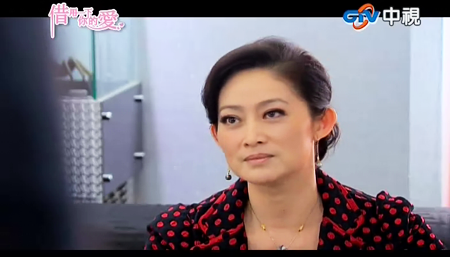 So she appoints Ping An be the catering manager for the party… and also asks her to follow Bai Ming Li to work on the next day…. The next day Ping An travels to work with Bai Ming Li. As Ping An watches Ming Li talking non stop on the phone, she begins to understand why Ming Li is the ‘evil’ person she is, or that she is probably not so evil afterall. Bai Ming Li has to be tough in order to survive in this environment. Outside the shopping centre Ping An talks to Ye Chen about being the catering manager of the party… and how she has no idea. Ye Chen tries to help her in his own way, (mostly just by talking to her… aww sweet) and offers her encouragement. As they brainstorm about what they can serve at the party, Ye Chen doesn’t miss the opportunity to offer himself to ‘taste test’ anything Ping An comes up with. Their conversation is interrupted by a flashy car stopping in front of them. 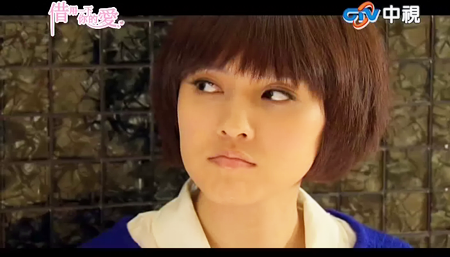 A hot looking girl walks out and Ping An immediately thinks she’s another one of Huo Ying’s girlfriends. Inside the shopping centre Ping An bumps into Huo Ying doing that magic trick for that girl. Ping An just couldn’t help herself and has to ‘warn’ her that Huo Ying has many girlfriends and that she should stay away from him. As Ping An keeps dissing Huo Ying, that girl (we know she’s actually Huo Ying’s sister right..?) gets more and more angry and wanted to slap Ping An… but hey, our bodyguard is there for a reason right? That’s when the girl finally reveals she’s Ji Li Sha (that’s Lisa in English right?) and Ping An had to apologise and leave. 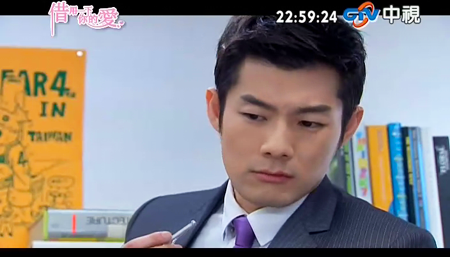 At the food court, Huo Ying tells all the workers about the contract issue, while offering himself to be the hero. Since everyone at the food court trusts Ping An, they rushed to tell her about it… of course Ping An gets very angry and stomps into Bai Ming Li’s office for an explanation. Then Ye Chen’s phone rings – it’s Bai Ming Li asking Ping An to report to one of the clothing counters at the shopping centre, right away. At the clothing department, Xi Le also arrives. Ming Li wanted them to try on outfits for the introduction party. After trying on many outfits, they could not find the right one… Ming Li arrives and suggests they just have dresses custom made.Well… that was easy lol. Back at the mansion, Ping An wants to borrow Xi Le’s laptop to type up some menus for the party. Xi Le comments that Ping An had become busier lately… and Ping An responds that now she has to use more of her brains than physical labour~ Xi Le would rather be busy since she’s unhappy about everything that happened with Zi Wen. She just wants to back off a little right now, because she fears he might drift further away. Ping An suggests Xi Le can continue to care about him, doing things for him to show her love… and to keep believing one day Zi Wen will change his mind. Li Sha is just being a b*tch and says to the salesgirl she wants one made exactly the same. Xi Le sticks it up to her and tells her she’ll wear it to the party, and if Li Sha doesn’t mind she can wear it too lol. As if Li Sha will do that. Then Xi Le just left and says she will try the dress next time. After this incident Xi Le is reflecting on how difficult it was to deal with just one member of the Ji family. Imagine what it will be like for her with all the other rich people she has to deal with in the future. Really, she just wants to have a mother… and not all these complications. To cheer herself up, she thought she’d find Ping An. 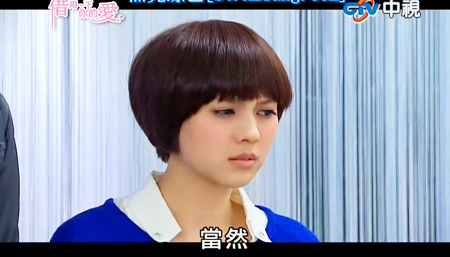 But then she sees Ping An talking to Zi Wen about the party…. Ping An has her pining face on and he pinches her nose, both acting cute. Xi Le felt uncomfortable seeing that and left… She starts thinking that Zi Wen never smiled this naturally around her… so is he with her simply because she’s Bai Ming Li’s daughter? At Zi Wen’s office, he gives Ping An some of the shopping centre’s contracts so she can copy them as punishment. Zi Wen starts to wonder why Ming Li wants Ping An to look at these contracts, because looking at them can learn about how the shopping centre operates… shouldn’t Xi Le be the one learning about these? In the middle of this cute moment (or I should say Ping An would think it’s cute :P) Ye Chen arrives complaining he’s been waiting for her for a long time. He notices Zi Wen is wearing the tie pin and gets all jelly (HAHAHA). Zi Wen offers to take Ping An home later but Ye Chen reminds her she has lots of planning for the party so she should be home early. Ye Chen literally drags her away… take that Zi Wen! Just as Blackie walks down the stairs Ye Chen sees him. He wanted to follow but also sees Huo Ying walking past… so now he wonders whether Blackie was here to see Zi Wen or Huo Ying. Talk about wrong place wrong time Huo Ying! At the ‘introduction party’, Ping An is super busy on the phone. Zi Wen helps Ping An out by transporting some stuff IN A WHITE SUIT. Like… who wears a white suit? (In real life I mean). So Ping An can go and get changed into her dress. When Ping An arrives Li Sha bickers with her again. Li Sha is pretty much there to cause trouble especially when she sees all the food was designed by Ping An. Li Sha has to remind everyone that Xi Le was from the orphanage… Ping An starts to think Li Sha looks rather familiar…. omg Li Sha is totally that b*tchy girl who was also at the orphanage with them when they were kids. The one in the flashback who got adopted because Xi Le gave up the chance as she wanted to stay with Ping An!!!!! I blame Wikipedia for this, in the synopsis it says Li Sha is not the biological child of Director Ji… so…..
Just randomly standing in a corner (being a bodyguard I guess?) 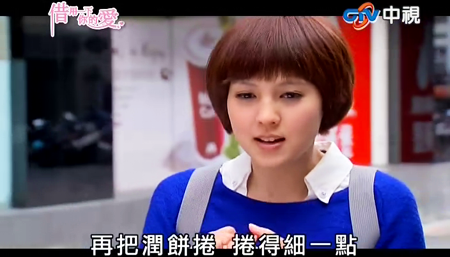 is Ye Chen – he wishes that Ping An is just an ordinary girl from the food court rather than Bai Ming Li’s daughter. Awww…. gosh when the truth is revealed Ping An & Ye Chen are going to have even more obstacles ahead. As Xi Le is mingling with the other guests Li Sha thinks of a way for revenge. She deliberately spills red wine on Xi Le’s dress so she can’t have the dress either. So Ping An offers her dress to Xi Le as backup. But this is when Ping An notices Xi Le’s necklace wasn’t put on properly, it could’ve easily fallen off. Yep, Ji Li Sha again trying to sabotage everything. Gees, that girl needs to find better things to do. Li Sha tries to stir more trouble by asking whether Xi Le can swim. She doesn’t even remotely hide her hatred and just pushed Xi Le into the water… WTH. *sighs* I had a blast of a long weekend, ending with watching episode 6 of “Borrow Your Love”. I really cannot, cannot wait to see the next ep because of the preview! Finally…!! Ping An will start to reciprocate feelings for Ye Chen… ARGH….. I’m hoping this episode was the ‘filler’, introducing Li Sha and setting everything up going forward… (Although from the preview, it was rather random that Li Sha likes Ye Chen, just to cause more conflict between her and Ping An / Xi Le). But hey, Ping An can get jealous for a change. Thanks for the recap. I was dying to know exactly what was going on in episode 6 and who that woman was with Huo Ying. To finally know who she really is and her intentions will only make this amazing show more dramatic. Isn’t it funny how all this came about with Li Sha, Ping An, and Xi Le from the past and to now. Every time I see Zi Wen, I start to hate him even more, but I wonder how things will turn out for him. Will Ye Chen finally find the truth about Zi Wen and his plans? Hello~ Thanks for your comment! 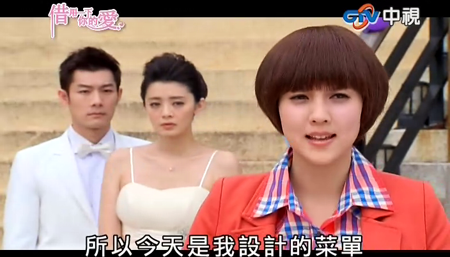 Yes, it does seem to be a big roundabout with Li Sha being that girl from the orphanage (only in dramaland!). 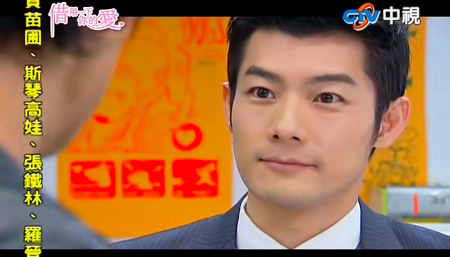 And yeah, I never liked Zi Wen ever in this series >< and he's supposed to be the 2nd lead. I think the writers are making Ye Chen pretty smart so far and he has it figured out like 80% already lool. Thanks for reading! Yes PA and YC are really the only reason I keep watching…maybe the writers think they need someone who’s ‘truly evil’, but Li Sha is pretty one dimensional so far and I’m not sure what she’s doing in the series anyway.